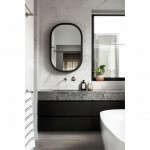 Categories: Baths, Toilets & Bidets, and Vanities & Basins. 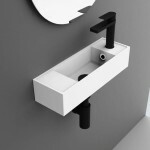 The updated Happy D.2 series, available through Candana Designs, offers a coordinated bathroom solution. The slim, rounded corners featured give it a distinctive design. The freestanding bathtub also adopts the sleek radii of the ceramics; and relaxing in the bath is especially comfortable with the optional neckrest. 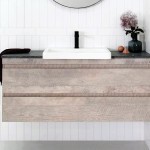 The washbasin is available with a variety of options to suit any bathroom design. 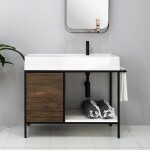 The furniture washbasin option is available with a matching vanity unit or with a metal console; while the surface-mounted washbasin option is available as a classic washbasin with pedestal or siphon cover. One of the basins, which feature a curved rear rim, appears to float gently in its surroundings – creating the sense of weightlessness that translates throughout the series. The toilets and bidets are available as wall-mounted, floor- standing and back-to-wall options, both with and without the SoftClose seat function. The wall-mounted toilet can also be combined with the SensoWash® Starck shower-toilet seat.